Penticton Creek was once one of the most productive waterways for Kokanee and Rainbow Trout on the Okanagan Lake system. At one time it contributed to an extraordinary recreational fishery, and continues to be important to the Okanagan people (Syilx) who have fished, hunted and gathered plant foods throughout the territory since the beginning of time. The City of Penticton was built on the Penticton Creek flood plain and as a result, the early history of the community was marked with several major floods between 1928 and 1948. To prevent flooding from recurring and damaging the downtown, government officials began to convert the natural stream to a concrete flume that would quickly and efficiently carry creek water to the lake. These flood control works in the 1950’s resulted in the complete destruction of fish habitat along the lower sections of the creek, and decimated fish populations and riparian areas. Now, the existing channel banks have begun to erode and areas of the concrete are beginning to fail causing concern and creating sudden maintenance issues and costs. Today, we have a better understanding of the value of nature in our urban areas. Returning the creek to a more natural state will benefit fish and wildlife, improve flood protection, help with the aesthetic and social values of the creek and recover an extremely important fishery resource in the region. 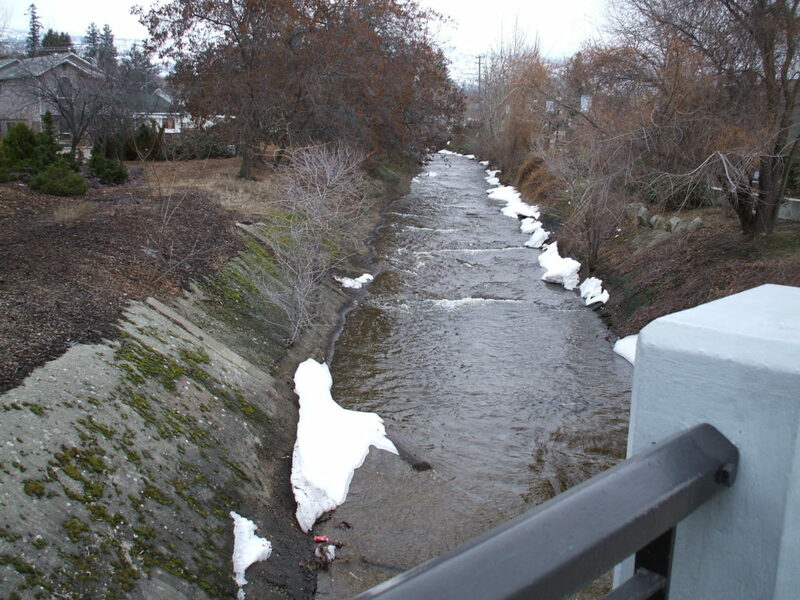 In 2012, City of Penticton City Council struck a working committee with a diverse group of experts and community representatives to build a plan for Penticton Creek restoration, including a significant amount of historic research, ecological studies and engineering design. In 2015, a “showcase” area of the creek was selected and just over an 80 meter stretch was restored. For the first time in 50 years, concrete was proactively removed, and in its place more natural materials like river rock, gravel, and native vegetation were put in. On the one year anniversary of the project, Penticton Creek saw one of the largest runs of Kokanee in recent years. This restored area above the Ellis Street Bridge, draws locals and visitors alike to see the return of nature to the urban center. 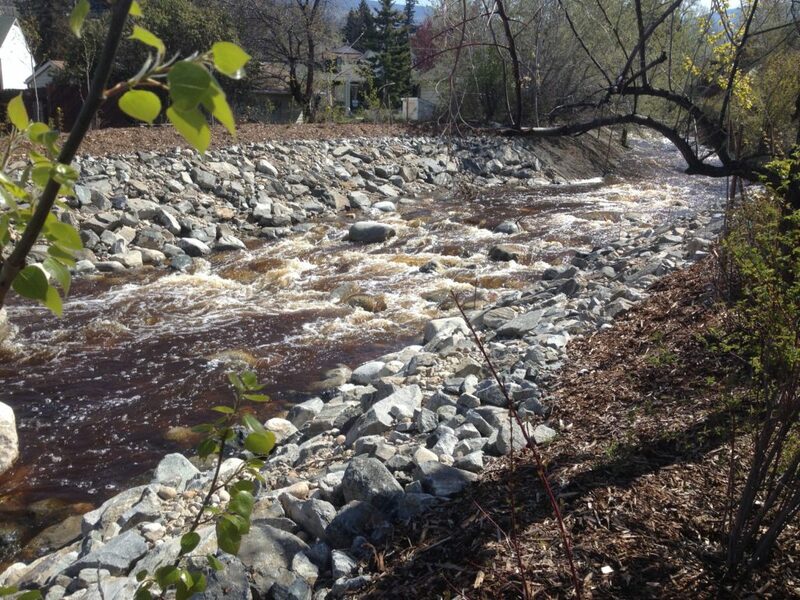 The possibilities to bring back Penticton Creek to its former glory are endless. Read the full story of the PCR Masterplan!